In those months where the weather invites us to be a bit away from the kitchen there is nothing better than cold desserts. This week at #SundaySupper we will offer a variety of recipes to enjoy this summer without turning on the stove, an example is this delicious dessert too fast to make and your whole family will enjoy. Summer is one of the seasons of the year to we look forward to, so we have to search fast food options, easy and delicious, so we can enjoy as long as possible with our family. In a bowl dissolve gelatin in boiling water, add ice water and condensed milk, mix until everything is well incorporated. Whip the heavy cream and add to the above mixture, be careful to mix the whipped cream does not fall in volume. Pour the mixture in ramequines or cups, and bring to the refrigerator for a minimum of 4 hours. Here is a list of fabulous recipes from this amazing #SundaySupper family. Make sure you join us on Twitter throughout the day on Sunday, and at 3:00 p.m. EST for our weekly #SundaySupper Twitter chat! All you have to do is follow the #SundaySupper hashtag, or you can follow us through TweetChat! We’ll be sharing great recipes and tips all afternoon, and we’ll be talking all things #BeatTheHeat during our chat! We’d also love to feature your recipes on our #SundaySupper Pinterest board and share them with all of our followers! We’ll all see you on Sunday for #BeatTheHeat #SundaySupper! 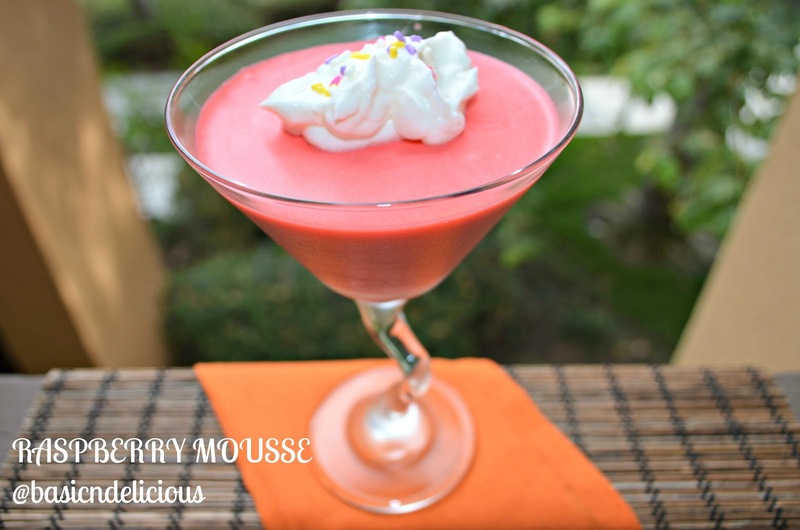 This entry was posted in #SundaySupper and tagged easy, mousse, raspberry by Kathia Rodriguez. Bookmark the permalink.